Here at Mind Body Life Wellness and Hypnosis, to ensure balancing of your emotional self and the relinquishing of negative thoughts and behaviors, we offer hypnosis services, Brain Working Recursive Therapy, NeuroLinguistic Programming, and EduKinesthetics. We also offer training in Self-Hypnosis, Mindfulness, and Meditation. BWRT® stands for BrainWorking Recursive Therapy®, a model of psychology and psychotherapy created by UK professional therapist, Terence Watts, MCGI. It’s a totally confidential method that doesn’t require you to reveal your private information or personal secrets to your therapist, and is carried out in a completely conscious state. It doesn’t use hypnosis or any mystical concepts – it’s completely logical, practical and down-to-earth, and only needs you to know what you want to change in your life for it be completely successful. 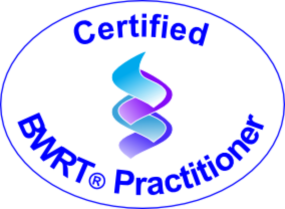 Only Certified Practitioners have been trained to deliver BWRT® and all have to adhere to a strict ethical code. If you are looking for a place to make POSITIVE CHANGE in your life… this is it… Wouldn’t it be great to be able to make phenomenal changes in your life, almost instantly? By utilizing the power of your own subconscious mind, you can have complete control over your own mind. You can prevent unwanted habits and patterns from having any control over your life and become the powerfully in-control person you were meant to be! Learn specific techniques to reduce or eliminate insomnia and to support restful sleep. End old habits. You can stop smoking. You can stop drinking. You can stop using. You can stop biting your nails. You can put an end to any habit you truly want to relinquish. Experience effective methods to reduce or to eliminate discomfort and to create positive changes on many levels. Learn how to remember, recall, and apply information easily and effortlessly. Quicken your imagination, inspire your emotions, stimulate your intellect, awaken your senses. Discover the most common negative emotional responses and how to change them and replace them with new positive thoughts and behaviors. Making the changes needed to reduce weight successfully and to adopt positive, healthful behavioral patterns and beliefs often requires more than simple willpower, especially when the hidden motivations for the behavior are locked in the subconscious. With hypnosis, we can understand the motivations; address them; and free ourselves from them… so that we can establish new, healthful ways of living. Uncover and address the source of the fear or anxiety response and get immediate relief. Eliminate fears of flying, public speaking, animals, reptiles, insects, heights, elevatores, enclosed spaces, etc. Feel more at ease in certain situations, such as during dental or medical treatments or when delivering presentations. Do you have an attitude or belief that needs working on? How about an unhealthy habit or two… sleepless nights… fears and stress….. performance anxiety…… grief…. concern or anxiety regarding childbirth….. or, are you having surgery and it’s scary? Prepare your mind as well as your body for your surgical procedure and for rapid recovery. Many people in today’s society feel unfulfilled professionally and/or personally and want to move in a new direction that is more compatible with their feelings and true nature. It is possible to connect with those parts of ourselves that seek greater expression and to establish a more stimulating and rewarding direction for our lives, relationships, and professional careers. Get significant improvement in overall levels of discomfort. Clear out trauma and painful experiences with the powerful system of hypnosis. Experience dramatic responses and overall improvement in levels of discomfort. Develop the right mental attitude to attain what you really want, what you really desire. Stress is your body’s response to demands made upon it. Learn to understand, manage, address, and counter-balance these demands with ease. Lift the oppression of sadness, grief, despair or other emotions and bring your brain and body back into balance. Master your responses to anger and frustration and learn to understand, manage, and address your responses to emotionally charged situations. Fulfilling your highest potential. Accelerating your growth. Transforming old obstacles, fears, and limiting beliefs. Anything that is limiting you from being the best you can be can be addressed through hypnosis. CHANGE YOUR LIFE, HEALTH, ATTITUDE…. A 12-session program designed to relieve stress and empower women to fulfill their dreams, preparing their mind, body, and spirit to conceive a child. It’s a busy world. You fold the laundry while keeping one eye and ear on the kids and another on the television. You plan your day while listening to the radio and commuting to work, and then plan your weekend while rushing about completing work tasks. Rushing to do this and to do that… rushing to get here and to get there… rushing, rushing, rushing…but in the rush to accomplish necessary tasks, you may find yourself losing your connection with the present moment—missing out on what you’re doing right now and how you’re feeling in this moment. Factor in our fast-paced and constantly shifting world where we are faced with an onslaught of information and stimulation and media coming at us! In our lives of instant and often chaotic communication and social media, it’s more important than ever to develop and nurture regular awareness-based practices that promote our fully engaged awareness, wakefulness, compassion, and wisdom. Our busy-ness and preoccupation means that most people are not fully present and engaged in their life. They simply are not really THERE a lot of the time. Instead, your mind is caught up in your worries, your fears, your anger, your regrets… You are not mindful of being in the moment; rather, you are caught up in the past or in the future. You are not there in the present moment; you are not living your life deeply with joy and happiness. The opposite of this is mindfulness. Mindfulness is when you are truly present, mind and body together in the moment. You breathe in and out mindfully, your mind is there with your body, and you are established in the present moment. Then, you can recognize and celebrate the many conditions of abundance, joy, and happiness that are in you and around you… and serenity and contentment and happiness just come naturally. that empowers us to recognize the conditions of abundance and happiness that are already present in our lives. You don’t have to wait ten years to experience this happiness. It is present in every moment of your daily life. There are those of us who are alive but do not know it. To be mindfully present in the moment is to touch the miracle of being alive! Gerald Trobough, M.D., a California Ob/Gyn and fertility expert: “We know what hypnosis can do for such things as child birth or pain control; it’s only a matter of time before hypnotic infertility applications are universally accepted,” he says. Dr. Alice Domar, the author of Conquering Infertility, has been published in several important journals, such as Fertility & Sterility (1990 and 2000) and the Journal of the American Medical Women’s Association (1999). She emphasizes “mind/body” techniques that include self-hypnotic suggestions to reduce stresses that interfere with conception and healthy pregnancy. Dr. Gayle Peterson, a pioneer in the field of mind/body states and their effects on fertility, pregnancy, and birthing, has developed a technique called Body-Centered Hypnosis. Dr. Peterson has found that high anxiety states in the mother must be reduced in order to normalize pregnancy and birth. She sites several research studies that suggest a positive link between fertility and treatments based on hypnosis. A recent Israeli study showed that the success rate of IVF treatments doubled in his test group from 14% to 28%, when the subjects underwent hypnosis during implantation. Professor Eliahu Levitas conducted this study with 185 women. At the Institute of Applied Psychology in Lisbon Portugal, a team of researchers led by Katharina Hirschenhauser has concluded that men who actively want to be fathers automatically adjust their testosterone levels at exactly the right time (the middle of their partners’ menstrual cycles). Perhaps there is no better hypnotic suggestion for a male partner than the idea that he wants to become a father. “One of the key components (in addressing infertility) is stress reduction,” says Dr. Mark Bush of Colorado’s Conceptions Reproductive Center. “There is a definite link between hormones released in the brain and decreasing a woman’s ability to release an egg,” he says. When you’re ready to welcome a child into your life, each monthly cycle can feel like an eternity. All the while, the stress of waiting, wondering, and worrying can actually interfere with natural fertility, making it even more challenging to conceive as time moves on. The effects of stress upon the reproductive process are profound. Stress and anxiety act directly upon the endocrine system of our bodies, disrupting the hormonal balance necessary for successful conception and a healthy pregnancy. Unresolved emotional issues and fears can also disrupt fertility and act as barriers to conceiving. Women experiencing fertility challenges have reported levels of stress and grief that are comparable to those battling life-threatening conditions. The impact of fertility struggles on relationships, emotional well-being, and self-esteem can carry couples into even deeper despair. And yet, if you have arrived at this site, there must be an inner voice within you that is carrying a note of hope, a feeling that your body is capable of creating and nurturing the child that you desire, and a belief that there IS a baby for you. This program honors that quiet voice within and provides powerful tools to help you to realize that hope, that feeling, that belief. Hypnosis for Fertility (HypnoFertility™) can help to end the cycle of disappointment and distress and to break through fertility barriers. 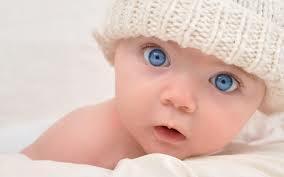 HypnoFertility™ is a powerful and effective program for enhancing natural fertility through hypnosis. This unique program guides you to easily access that relaxed and harmonious state that opens the door to conception. Whether your goal is to conceive naturally or to receive support while undergoing IVF or other medical procedures, HypnoFertility™ is a powerful, precise program which supports the entire fertility process for optimal results. 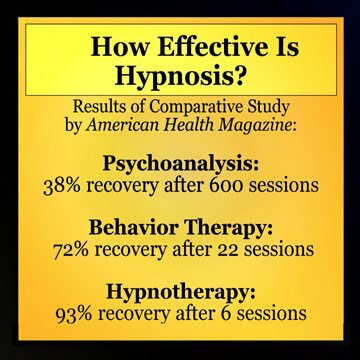 Hypnosis can transform the fear and frustration you may have been experiencing into self-empowerment and a sense of physical, mental, and emotional well-being. It can help to create the foundation to enable you to achieve the natural inner harmony required for a calm, peaceful, positive, and viable pregnancy. Whether you wish to conceive naturally, or with medical assistance, the Fertility by Hypnosis®program can certainly increase your chance of success. During the course of sessions, you will learn the tools of self-empowerment as you tap into the power of the subconscious mind. This easily leads to real chemical changes in the brain that, in turn, can manifest in suitable conditions for conception. The desire to have a child is a desire unlike any other. It is truly my honor to work with those experiencing challenges in becoming pregnant to help them in realizing that wonder-filled desire and welcoming their babies into being! My greatest joy is getting that excited phone call from yet another ecstatic and expectant parent-to-be. I want to get that call from you!